generated her inordinate ambitions, and gave embodiment to many of her deeply held values—are addressed in her fiction. In two related sets of essays on Cather's life and writing, seven contributors track the particular cultural formations, emotions, and conflicts of value that Willa Cather absorbed from the atmosphere of her distinct historical moment; their ten colleagues offer a compelling set of case studies which articulate the manifold ways that Cather learned from, built upon, or resisted models provided by particular nineteenth-century writers, works, or artistic genres. 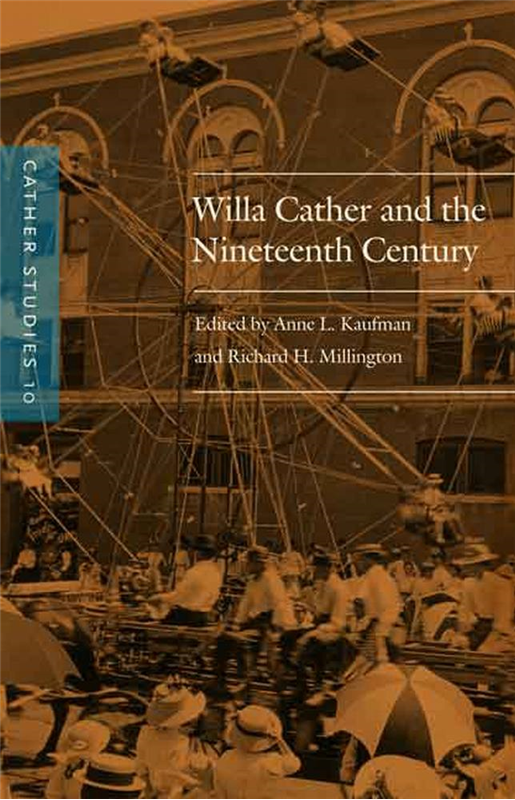 Taken together with its Cather Studies predecessor, Willa Cather and Modern Cultures, this volume reveals Cather as explorer and interpreter, sufferer and master of the transition from a Victorian to a Modernist America. Essayists include: Deborah Carlin, Richard Harris, Matthew Hokom, Melissa Homestead, John Jacobs, Charles Johanningsmeier, Susan Meyer, Ann Moseley, John Murphy, Joseph Murphy, Leila Nadir, Elsa Nettels, David Porter, Steven Shively, Sarah Stoeckl, Janis Stout, and Robert Thacker. Anne L. Kaufman teaches mathematics at Milton Academy and is a visiting lecturer in English at Bridgewater State University. Her work has appeared in Western American Literature, Canadian Literature, Western Historical Quarterly, and elsewhere. Richard H. Millington is Helen and Laura Shedd Professor of English at Smith College. He is the author of essays on Cather’s modernism and of Practicing Romance: Narrative Form and Cultural Engagement in Hawthorne’s Fiction, and he is the editor of The Cambridge Companion to Nathaniel Hawthorne and the Norton Critical Edition of Hawthorne’s The Blithedale Romance.